The poor man’s Barkha Dutt strikes again. Just yesterday we had discussed how a highly misleading story in the Hindustan Times had led to widespread misplaced outrage. 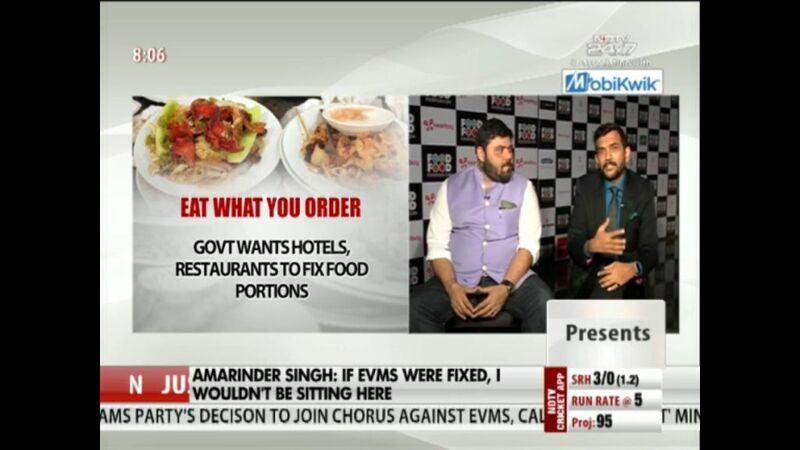 Hindustan Times ran a story titled “Eat what you order: Modi government to fix portions of food served in hotels”, which was curated by many in the media. We don’t want to control anything. We are doing this in the interest of consumers. Where are we saying that you should keep only so much quantity in one portion, we are only saying you should mention the quantity being served in each portion. Subsequent to this video coming out, many media reports came out with a different headline altogether, and the “fix portion” hysteria was replaced by the more factual “specify portion” version, which tallies with what the Food minister had said. One may find both ideas moronic, but there is a huge difference between “fixing” portion size and asking someone to “specify” the portion size. Worse, this clarification was given by Paswan to NDTV itself. 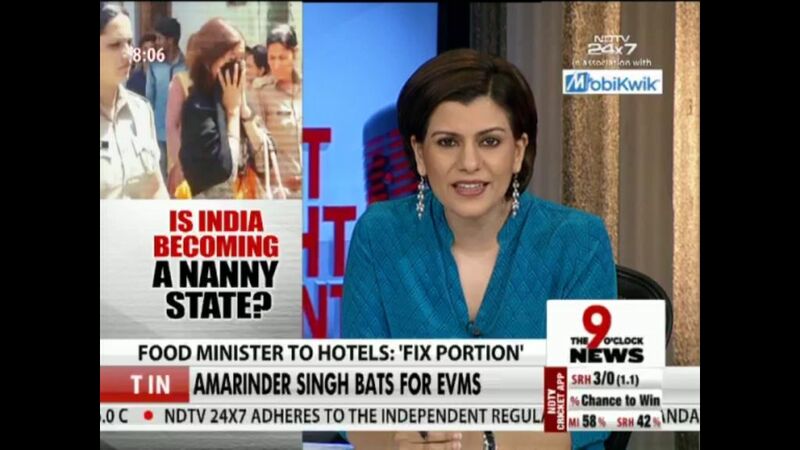 NDTV’s Sunetra Choudhury had taken the byte from Paswan where he clarified that the intent was to ask restaurants to specify portion size and not fixing of the same. This is very similar to the incident where Nidhi, in association with an abusive lying troll, repeated a lie, when the same lied had been clarified by Barkha Dutt on her show a few months ago! 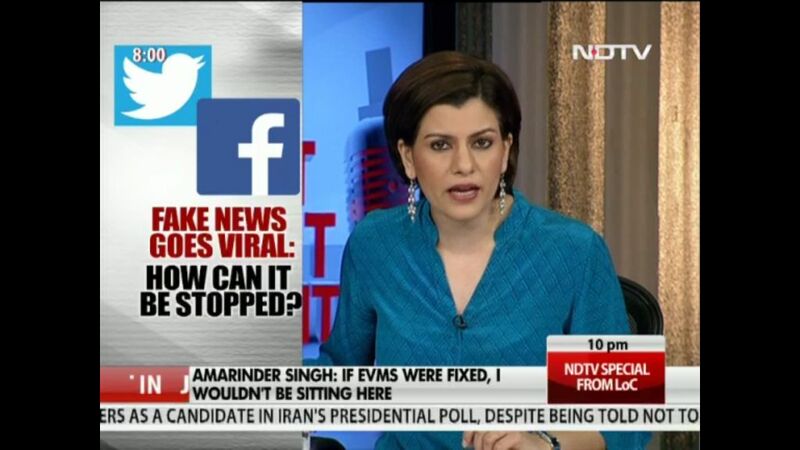 Coming to the debate, it was entirely focused on the “fixing portions” angle which was obviously fake, and the arguments were various ranges of whataboutery, given by the panelists as well as Nidhi herself: “What about food grains rotting, what about the wastage of security forces by giving security to MPs”!!! As for the BJP spokesperson GVL Narsimharao, he ensured that he made a laughing-stock of himself. He never once mentioned that the minister had clarified his position and that NDTV had gotten the topic itself wrong. Instead he compounded his problems by first branding all Indians as irresponsible and insensitive when it comes to food habits and then proceeding to make largely irrelevant arguments.